A few weeks back I got a message from someone with the email address jaden at steamykitchen.com and it said will you “guest post for me?” My first reaction was to check whether that it was really written to me. Why? Because never in my wildest dreams would I expect that JADEN from STEAMY KITCHEN would ask little me to guest post on her blog. And even when I found out that it was actually Jaden, I was in complete disbelief! Just like millions of other bloggers and food lovers, I have always been inspired by Jaden. It is an honor to be featured on Steamy Kitchen and thanks so much Jaden for the opportunity! When asked about what I should be cooking for her, Jaden said she loves Chicken Vindaloo and would love to share its recipe with her readers. So Chicken Vindaloo it is! 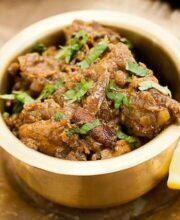 It is a dish which, if not most popular, must be one of the most popular Indian dishes in the world. Vindaloo is a popular curry that hails from a tiny little state of Goa in India. Portuguese had their colony in Goa for decades and so the state has a great influence from Portuguese culture. It is believed that the name Vindaloo was also derived from Portuguese dish where “vinho” means wine and “alhos” is garlic. Usually the recipe asks for pork and wine along with garlic. In course of time Vindaloo evolved and cooks started making it with chicken or lamb and wine was substituted with vinegar. I am sure you will always notice that the Chicken Vindaloos served in restaurants have potatoes in them. Aloo in hindi means potatoes and since Vind- aloo has aloo in it, I assumed that potatoes are a must in the dish. But after doing a little bit of a research I found that potatoes are not really an essential ingredient. A traditional Vindaloo just asks for meat, garlic, wine or vinegar and lots of chilies in it. So the potatoes you see in the Vindaloo they serve at your favorite Indian restaurant are probably because they either want to make the gravy thicker or increase the volume but definitely not because the recipe asks for it! Most important part of a Vindaloo masala (spice mix) is the chilies in it. The dish is mostly fiery hot because Vindaloo masala is a chili based preparation and that is where it gets all its flavors. In my recipe I used the dry whole red chilies found at Indian markets. 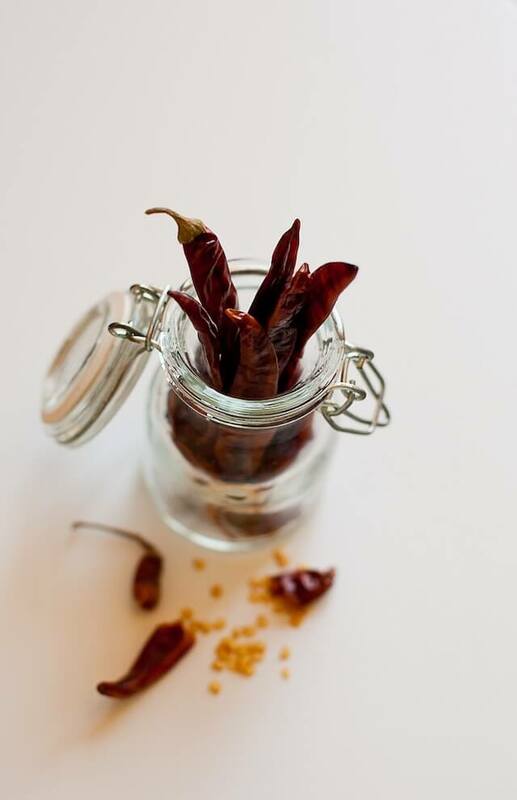 You can make it milder to your taste and use Kasmiri Mirch (a mild form of red chili). This will help make the curry red and pretty but still not very hot. So here’s the recipe for Chicken Vindaloo. Again, you can tweak the amount of spices and heat according to your taste. Also if you want, you can add diced boiled potatoes in the curry but if you do so, do it right after the chicken is almost cooked and you are giving it a final boil. 1) Soak whole chilies, garlic cloves and ginger in the white wine vinegar for about half an hour. Grind and make a paste of it. 2) Marinate chicken in the chili paste and let it sit in a refrigerator for at least an hour. 3) For the dry spice: mix cloves, cumin, cardamom, cinnamon, turmeric and peppercorn. Grind them in a spice or coffee grinder. Set aside. 4) Heat oil in a thick bottom pan, add mustard seeds. 5) Once they start to pop, add onions and fry them in oil until they turn light golden brown. 6) Add marinated chicken with all the juices and stir fry for a few minutes. 7) Add dry spices along with salt, mix it all together and cover the pan with a lid. 8) Let it simmer and cook until the chicken is done and curry is thick (stirring in between from time to time). 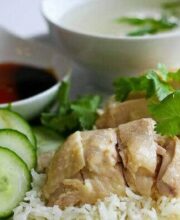 9) Garnish with chopped cilantro and serve hot with rice or your choice of bread. Step 8 says “until curry is thick”. Does “curry” mean sauce in this context, or is it a typo? This looks great! Kashmiri Mirch is very hot and should be used with care as a little goes a long way. I don’t think it is milder than adding red chilis, sorry. I love Kashmiri Mirch. It has a rich flavor not just hot. I use a little when I make my homemade enchilada sauce. Hubby hates hot so I have to be careful. The neighbors like a little spice in their food. I have even added cayenne to my quiche which really makes it unusual and delicious. This will be a perfect dish to share! Thanks! This is really a great, authentic recipe ! Great flavors. My (Dutch-Swiss) family loves it and I often prepare it at my 11 year old son’s request (he likes hot and spicy, aren’t we lucky ? ). I prepare it without potatoes (I hate them), but serve it with naan, rice, raita and/or dahl. Just great ! My husband & I love this recipe. We’ve made this several times but can’t figure out the best time to put in the potatoes (which was an optional ingredient on your list). If we put it in at the same time as the spices, it sticks to the pan. We added some broth or water which helped. Otherwise, is it best to cook the potatoes separately from the chicken then add the chicken & spices back in at the end? Great recipe! Made it for dinner tonight and my husband and I loved it. Do you have any recommendations on what I can add to make it saucier? I added a little chicken stock, but it weakened the flavors a bit. Should I increase the spices when I’m adding liquid? Ok, I’m trying this tonight. The chicken is marinating and the dry spices are ready! I bought a bag of cardamom seeds. I’m gonna have them for a *long* time, lol. My only change to the recipe is to use ground ginger – we never use all the ginger root before it spoils. Step #8 says, “until the curry is thick.” What curry? I have been wanting to make vindaloo! It’s my hubby’s favorite Indian dish. All recipes offered by Relish are amazing. I have used so many of them for me and my family and I have never gotten any bad feedback, not even from my kids. I even use them to entertain my guests for parties through out the year and they always are a hit. 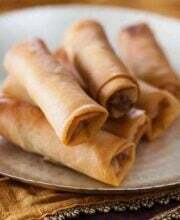 They offer recipes for different times of the season, holidays, and obviously countless recipes of different cuisines. Mm-hm. Yup. I want some chicken vindaloo now. Thanks for letting me know. 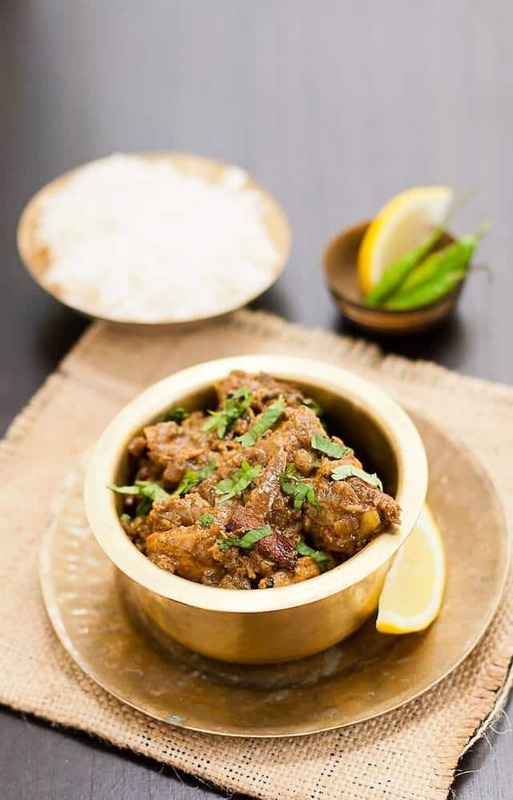 Hi Prerna: loved the recipe but made the mistake of using ground cloves – way too overpowering (or maybe I am not used to it). I also used 2 Scotch Bonnets to spice it up… really yummy. This is one of my favorites! Wow! This looks great and easy to follow. Vindaloo is my favorite Indian dish! I tried to recreate it myself a couple years ago and it didn’t turn out well. I will definitely try this recipe. Thanks for posting! Wow! looks amazing and your photo are very beautiful! I will try it. Thanks for honoring Indian recipe. Sounds interesting, would like to try it. 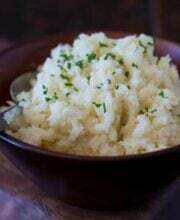 tried this with cauliflower!!! It was awesome and smelled so good I’ve been asked for the recipe 2x at lunch time! Congratulations on doing a guest post for Jaden! The vindaloo looks earthy, spicy and satisfying. I can’t wait to try it and have bookmarked the page. This looks amazing! I will try this soon. Just made this last night – followed the recipe very closely except we added a couple more peppers (like it spicy) – and it was wonderful. Looked just like the recipe, t00. Next time we’ll try it with pork just to see what happens. Thanks for the great recipe! I am first time on this blog and I’m amazed! Pictures are really high quality what makes your food look deliciuos! Will need try that recipe one day. Go ahead! Use apple cider, it will totally work. This is the BEST vindaloo recipe I have tasted. Made a vegetarian version with seitan and it turned out great. This recipe will be used again and again in our home. IndianSoul- My family loves pieces of whole spices here and there but same can not be the case with everyone so I shared the recipe with ground cinnamon. You can use whole spice if you don’t mind. As I mentioned in the post, you can use Kashmiri or degi mirch if you want your curry to be red and sorry I have never cooked or eaten a Vindaloo with bay leaves in it. 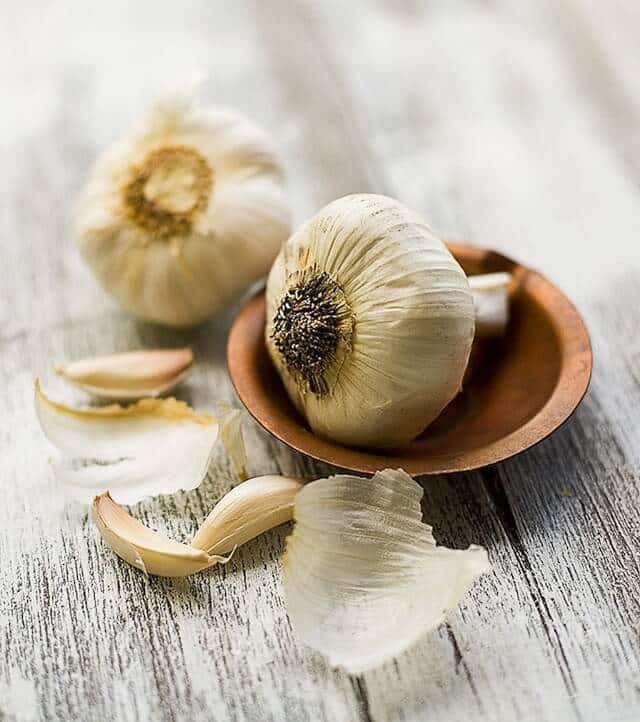 As far as I know the three vital ingredients in a Vindaloo are red chili, garlic and wine or wine vinegar for rest all every cook has their own recipe for curry. And yes chicken with bones are juicier than boneless and I find thighs to be more tender. Looks nice – I will give this a go, thanks. Looks pretty healthy too! A great dish and one of my husband’s favorites, thanks Prerna for the recipe! Wow – looks amazing and your pictures are beautiful! Congratulations on your guest post – you did GREAT! Prerna – I hope things are slowing down with the move to CA. 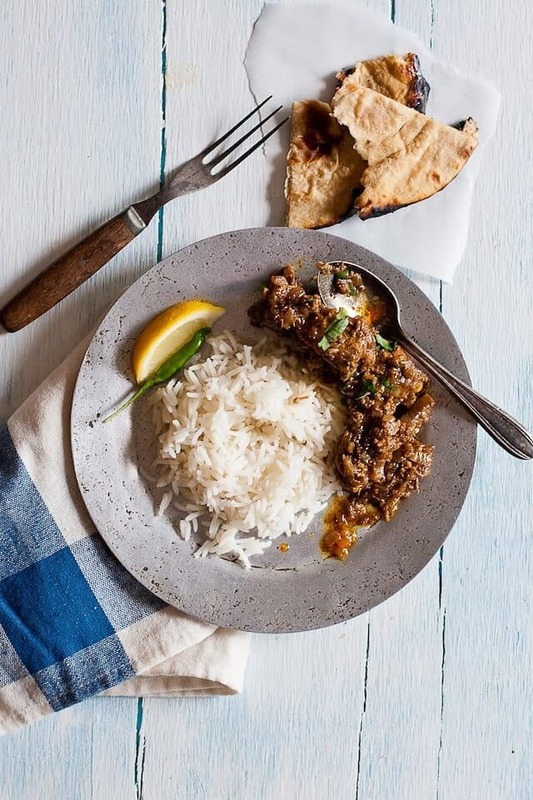 I am also a huge fan of Chichen Vindaloo – just as always gorgeous pictures and your recipe seems fantastic. I am going to have to try it out. Your photos are beautiful and congrats on the guest post! Lovely presentation, it was thoughtful to place roti pieces on tiny piece of paper instead of just scattering them over painted wood sheet. Piece of Dalchini is visible but recipe don’t mention whole cinnamon but powder. Recipe is great if we see as Preran’s personal version, but for real authentic vindaloo recipe it calls for few changes in texture, gravy, color. More onion to form fine gravy, use of bedgi indian chilies will bring guranteed red color.Use of regular vegetable or peanut oil instead of olive oil.Vital spice bay leaf not to be missed and avoid use of boneless chicken. Whole chicken = best test. Jaden Thanks for honoring Indian recipe.You stirred vidaloo appetite in readers. Thanks! You can begin with whole cloves and cumin along with other spices and then grind them altogether. In case you don’t have have whole spices you can use powdered but freshly ground spices just smell WAY better than pre-ground ones. I am excited to make this! Just one clarification: the cloves and the cumin – whole/seeds or powdered? The recipe sounds so good, I am sure gonna try this once. Jaden, thank you for featuring Prerna on your blog – she is a wonderful photographer, and her kitchen is always wide ope to her virtual friends. I’m swooning with joy both from the recipe and those incredible photos. What a fabulous post. I’ve eaten chicken vindaloo at restaurants but I’ve never made it at home. I will now.